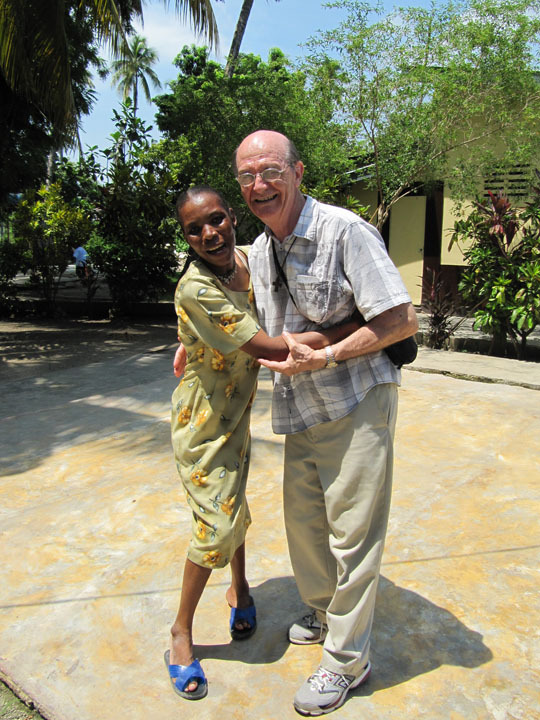 Baltimore Vice Provincial Alfred Bradley recently traveled to Haiti with Very Rev. Mario Bois, the provincial of the Ste. Anne de Beaupre Province, to survey the situation on the ground for the Redemptorists months after the January 12 earthquake that leveled much of the country. 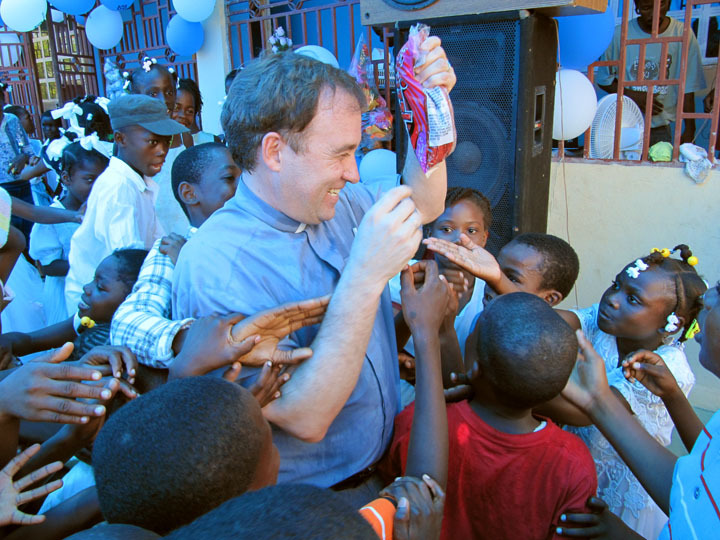 The Redemptorists in Haiti are part of the Ste. Anne de Beaupre Province, and Father Bradley was named by Superior General Michael Brehl to a committee that will help coordinate rebuilding efforts there. 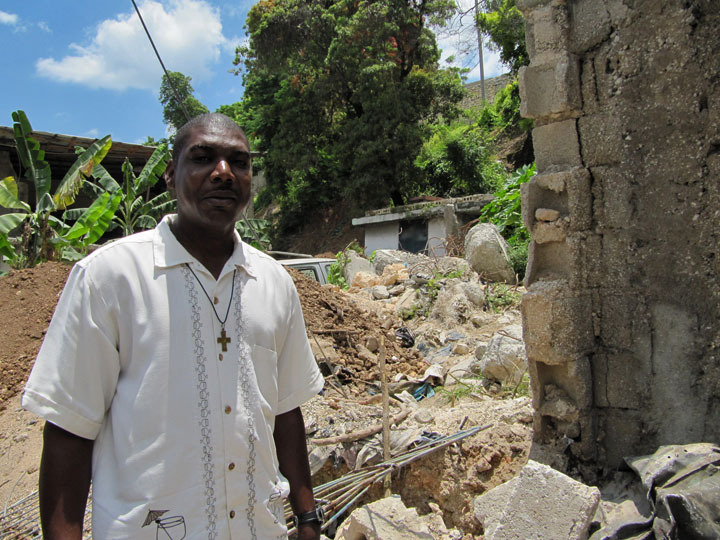 If you would like to contribute to the Redemptorists’ ongoing rebuilding efforts in Haiti, click here. Please enter "Haiti" in the "in honor/in memory of" box. Haiti is a land of tremendous contrast. The beauty of nature coexists with the destructive aftermath of the earthquake. Prosperity and privation, sacrifice and suffering, life and death are all starkly apparent. The reality assails the senses. Unimaginable poverty is endured daily by people of deep faith; the first experience compels them to cry out in lamentation, the second enkindles a trust that often is voiced in songs of praise to God. During my recent visit, I sat under a makeshift shelter at twilight, sharing a common pot of spaghetti and hot dogs with a group of Redemptorist students. They talked about their sorrows and their hopes. They continue to live and study in the rubble of what was once their house of formation. They sleep now in tents and study under the light of a few dim bulbs, but somehow they find the strength to sing Mary’s Magnificat in a harmony that would melt the hardest heart. 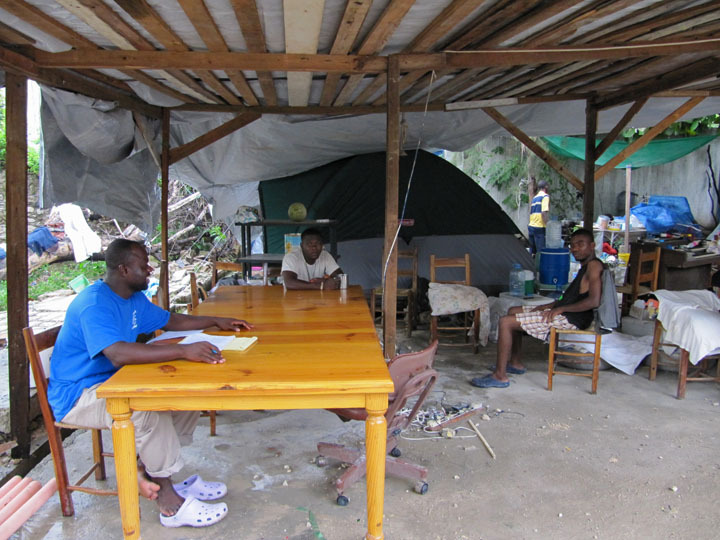 With Redemptorist confreres from Haiti and Canada, I visited a shelter for the elderly and infirm. Abandoned by their families, they were embraced by a group of sisters. Some of the senior citizens had lost limbs in the earthquake, but they were not impaired from joyfully welcoming Father Jean Claude Bergeron, a French-Canadian Redemptorist, who had once cared for many of them. Their mutual affection was not obscured by their tears. On the damaged grounds of St. Gerard Parish, where a large school once stood, I visited the hallowed place that now gently holds the bodies of hundreds of students and parishioners, buried in haste in a common grave. Tangled rebar and debris cover the area. Those who still struggle pass quickly by those who are now at rest. Life goes on. The many children in Brother Fritz’s orphanage welcomed us with open arms and hands. Father Mario brought candy. The little ones, who had lost everything and everyone, greeted us as if we were the Magi bearing gifts. They sang and danced and played as if nothing bad had ever happened to them. Their innocence is a gift that inoculates them from their unimaginable losses. Across from the crumbling sanctuary of St. Gerard’s Church, I witnessed the ordination of a young priest on the convent grounds. 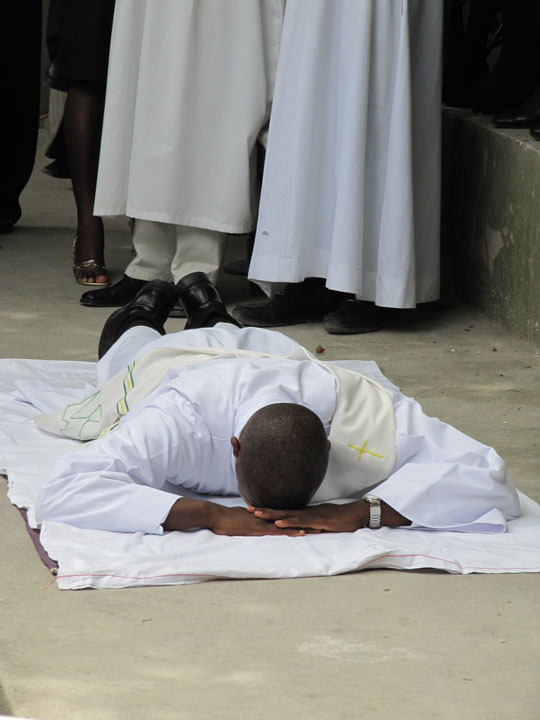 A congregation of more than 1,000 people joined in singing the litany of the saints, as the young man to be ordained lay prostrate on bare cement, an open-air amphitheater his sanctuary. His first Mass was celebrated on a simple wooden table rather than on a magnificent marble altar. His brother, a seminarian with another community, died in the earthquake. Still, with tears of joy, Father Francois Marie gave his first priestly blessing to his parents and confreres. We have so much and they have so little. It hardly seems right. How can we make a difference, I wonder? Trying to care is like St. Augustine trying to empty the entire ocean into a tiny hole in the sand. Nevertheless, God and this place of tremendous contrast compel us to do what we can. After all, "the light shines on in the darkness"